All roads lead to the Marian Hall Moyvane last Saturday November 10 where the North Kerry Finals of Scór na nÓg Sponsored by Eileen and Paddy Horgan Amber Filling Station Tarbert Road Listowel took place. Once again Listowel Emmets were well represented. 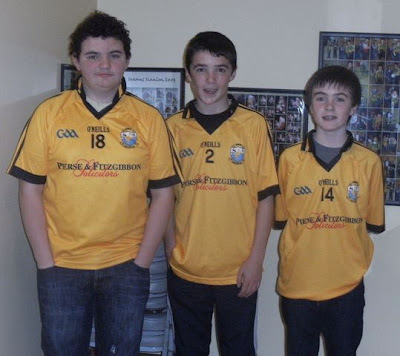 Our Quiz Team: Shawn Carey, Ciarán Pierse and Daniel Sheehan took 1st place and qualified to the County Semi Final. The boys gave an outstanding performance on the night and great credit to their parents and teachers at St Michael's College in their preparation of the boys for the quiz. As usual the standard was extremely high. Saoirse Kennedy represented the Club in the Solo Singing Category and got 2nd place on the night being pipped at the post for a place in the semi final by Moyvane's Lisa Mulvihill. 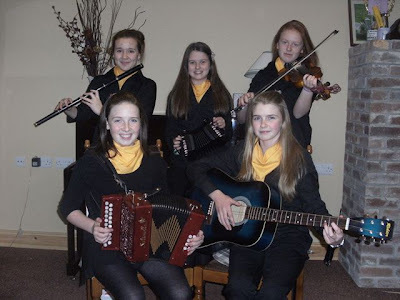 Well done also to our Music Group: Aisling Keane, Emily McCarthy, Edel Quinn, Meabh Trench and Fionnuala Trench. The girls put on a brilliant performance on the night and we hope to see them back again next year. Congratulations to Jack Hennessy and all the team in Moyvane for another successful and well run night of Scór. Comhghairdeachas le gach duine a ghlacadh pairt agus go n éiri leis sa chead babtha eile. Anyone requesting further information on Scór please contact Bridget Tydings Scór Officer: 0871787338.